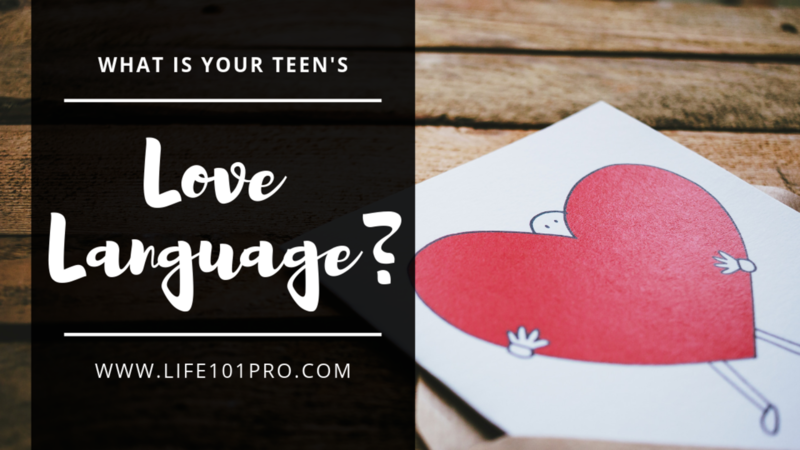 What Is Your Teen's Love Language? Do you ever feel like you are constantly giving, Giving, GIVING love to your teen and for the life of you they are not getting it?! Of course, it could be because they are having a bad day, week, month. 😉 BUT another reason could be because you are not speaking your teen's love language. You might be wondering... well, what’s a "love language"? One of the best things you can do for your ENTIRE FAMILY is learn all your love languages. There are actually FIVE love languages: Words of Affirmation, Acts of Service, Receiving Gifts, Quality Time, and Physical Touch. Think you *know* which one each of your family members are? Go ahead and guess. 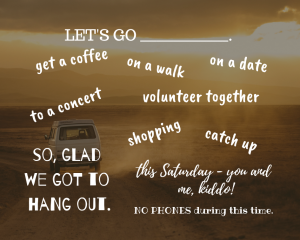 Write it down - maybe make a game and everyone guess what love language they are... then do yourself a favor and take the quiz – it HELPS! Too curious to keep reading? Click here to head straight to the 5 Love Languages FREE quiz to help you find out you and your children’s love languages. So, let’s go through the different love types and ideas on how you can show love to that type. An encouraging word does WONDERS for this teen! 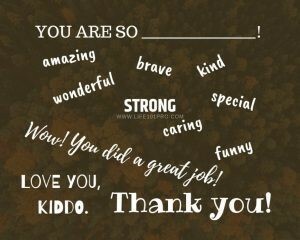 Write your teen a note. Give a shout out to them on Facebook. 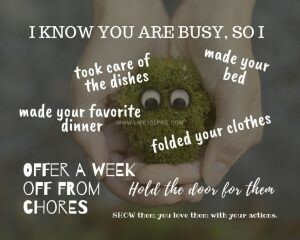 If you want to show your teen you love them, DO something for them. Offer to bring them soup in bed when they are sick. 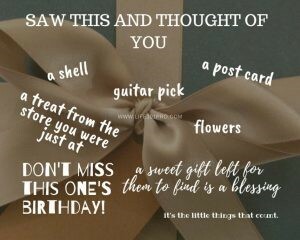 The item doesn't need to be big and extravagant, just something that says I thought of you. Consider starting a collection for this teen - maybe you mail them a postcard when you travel. Bring a sweet treat home every time you visit this certain store. Start a charm bracelet that you add to on special occasions. For this teen, putting your phone AWAY and giving them your full attention means EVERYTHING! Take road trips with this teen. Tell them you have 30 minutes and you want to spend it with them. Then ask them what they want to do. The answer may surprise you. Have a lull in the middle of the day? See if this teen wants to play a board game. Your teen knows you love them by how much they can FEEL your love. A strong mama bear hug when the world feels against them. Put your arm around them when they are standing next to you. It is interesting to me how we homeschool moms often are quick to say, “Learn your teen’s learning style”. I agree, so true. 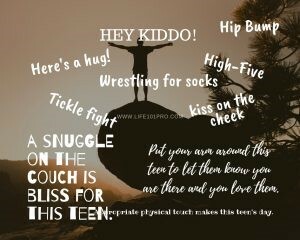 However, I would argue that just as important is learn your teen’s LOVE LANGUAGE! Not only will your teen be able to learn well (by leaning into their learning style), but they will also be able to receive your love well (by sharing it in their language). And let’s face it – being around each other 24/7 and NOT showing the “right kind” of love to your teen can really hurt them as much as teaching them with the wrong learning style. So, hop over, take the quiz for yourself and your teens (or have them take it for themselves). Then plan a family meeting tonight and compare notes. For your teen, helping them learn their love language is similar to them learning their personality type and leadership style. They are all pieces to the puzzle that makes them who they are. And it's always a good thing to know more about yourself. Looking for Life Skill Lessons to help prepare your teen for adulthood? Check out LIFE 101 PRO. Get 10 Life Skills Every Teen Should Know when you join! As an e-mail subscriber we LOVE to give you insider tips and discounts. Sign up today to get "10 Life Skills Every Teen Should Know"